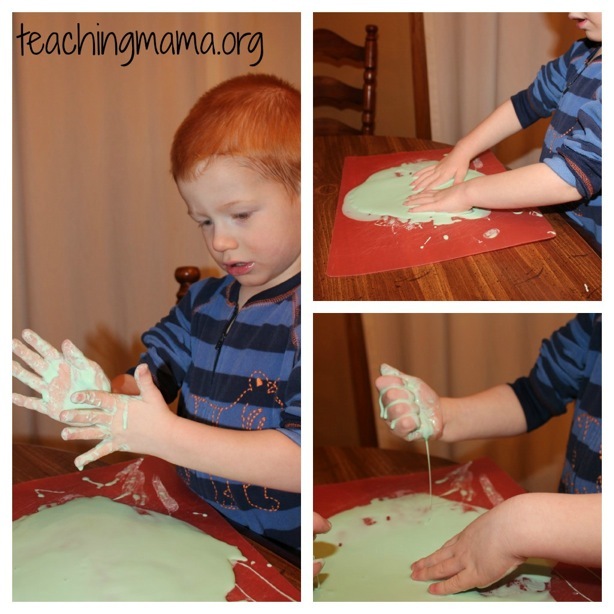 Dr. Seuss Week & Oobleck! 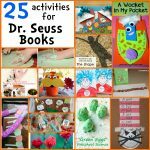 Did you know Dr. Seuss’ birthday is this on March 2nd? 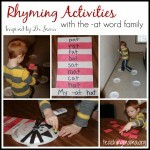 To honor of him, we are doing some Dr. Seuss activities this week. 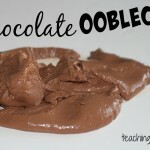 To start off, I’m going to show you a fun sensory activity with creating Oobleck. 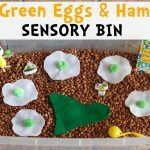 This slimy stuff originates from the book Bartholomew and the Oobleck. It’s a great book! 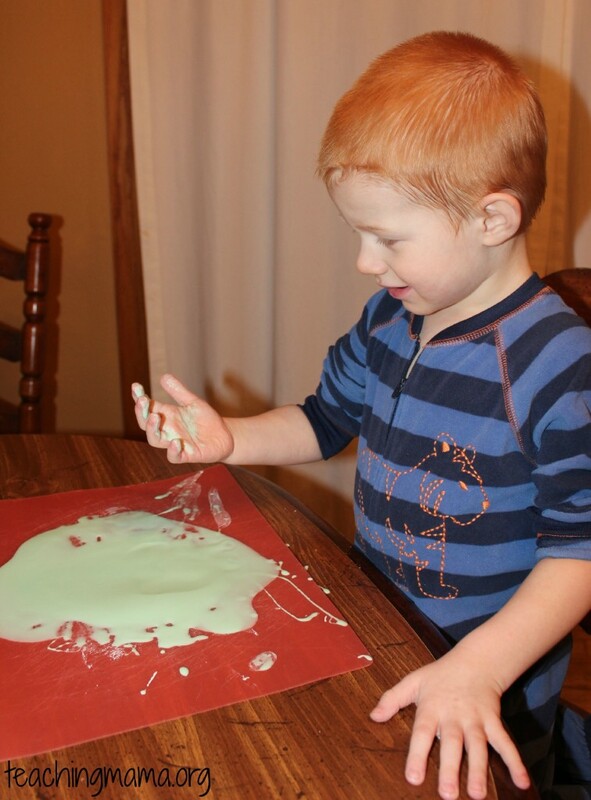 As Troy was discovering oobleck, he told me it felt cold, wet, gooey, and soft. He didn’t know what the word ‘slimy’ was, so I introduced the word to him. 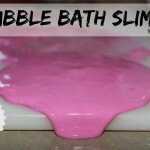 I think that slimy would be the best way to describe oobleck. 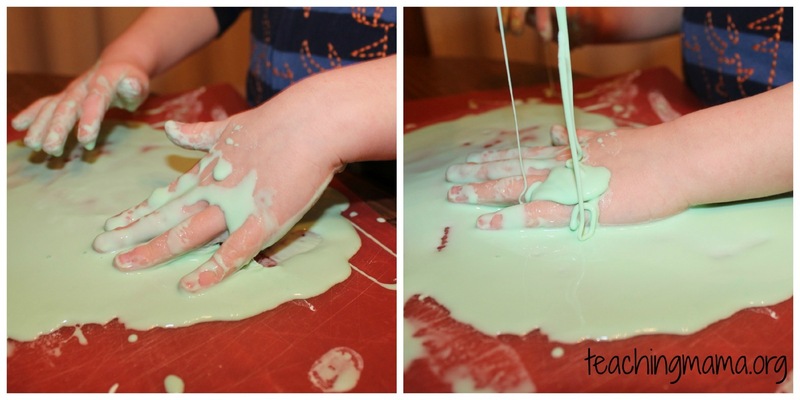 Oobleck remindes me of the show on Nickelodeon, Slime Time. Does anybody remember this show? 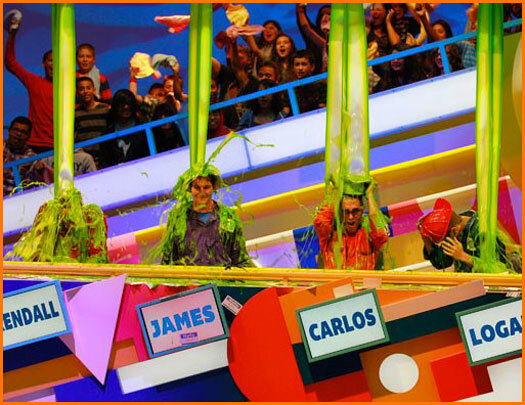 We didn’t have cable, so I didn’t see the show too many times but I always thought it was hilarious that they covered contestants with that nasty slime….I would never do it. 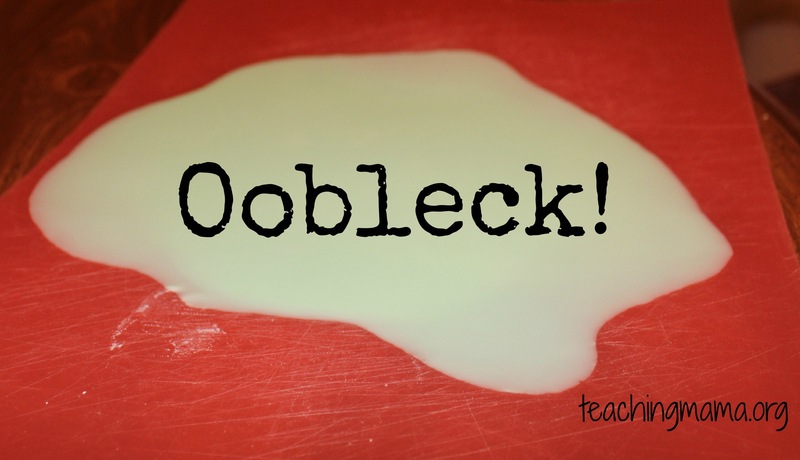 Have fun playing with oobleck!! Further down in the post you can see where Grandpa did the Oobleck with the kids and added sound vibrations to make it dance. 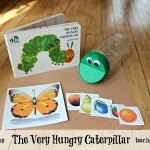 Kids literally played with it for hours. Wow! Thanks for sharing. You are a great mom!! That’s cool that you added sound vibrations to make it dance. We’ll have to try that next time! !